A true outdoorsman knows that the one item he does not want to find himself without is a versatile blade. One will face many obstacles and tasks in the wild, and the 10.5 Inch Gut Hook can be that weapon you have been searching for. When you are packing your bushcraft kit to get away from it all, be sure to bring along the 11 Inch Guthook Survival Knife. 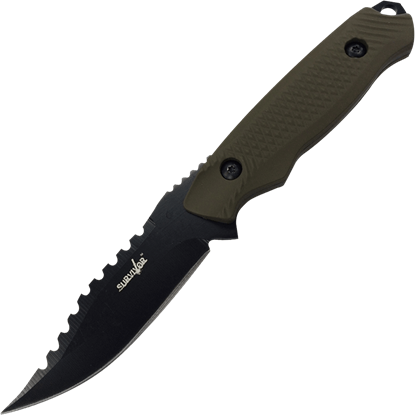 With its nonreflective coating, this tactical knife is invaluable for hunting, fishing, and survival excursions. A lightweight and versatile outdoorsmans tool, the 3V Pendleton Hunter Knife is a must have tool for the dedicated hunter. 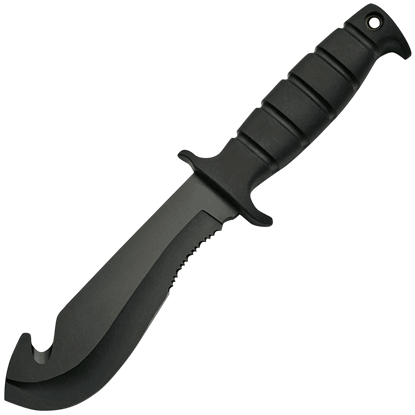 This hunting knife has a high carbon steel drop point blade capable of dressing and processing even large game. Small but highly functional, the 3V Pendleton Mini Hunter Knife is a must-have tool for any outdoor adventures. 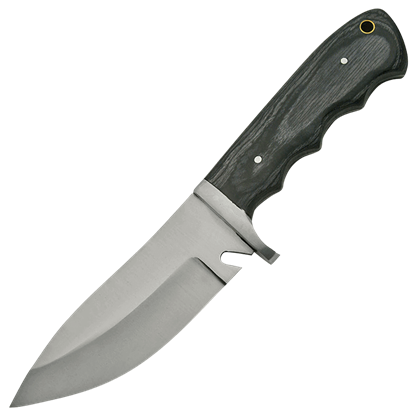 This pintsized hunting knife has a high carbon steel drop point blade capable of dressing and processing even large game. Perfect for outdoorsmen, hunters, and more, the 9 Inch Gut Hook has all of the essential tools to prepare a meal for cooking in the wilderness. 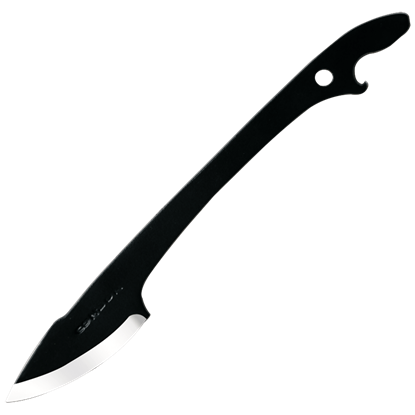 This reliable and versatile skinner features a gut hook on its black-finished blade. 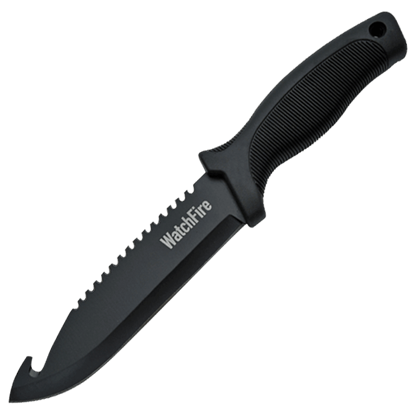 With a fixed clip point blade on the front and a wide toothed saw on the back, the Army Green Sawback Survival Knife is two handy tools in one. Fulfill your adventurous spirit with the perfect knife for all of your outdoor needs. The worth of a good neck knife cannot be understated. They are light, portable, and extremely useful. 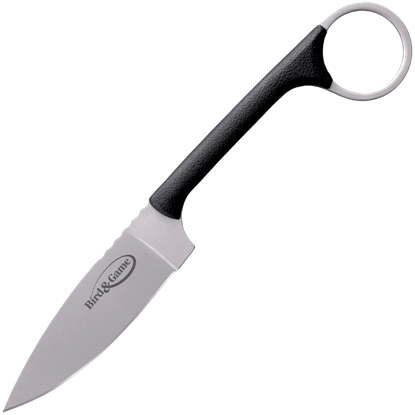 The BBT Neck Knife is a utility knife that features a small blade and is designed for the outdoorsman on the go. 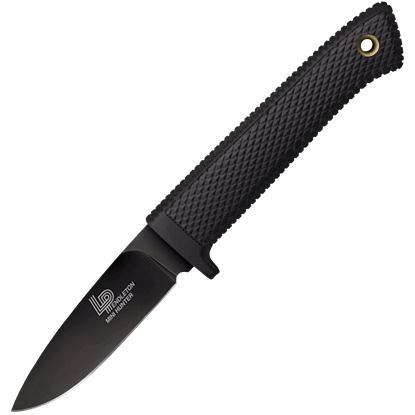 The Bear Tracker Hunting Knife is the perfect companion out in the field hunting. 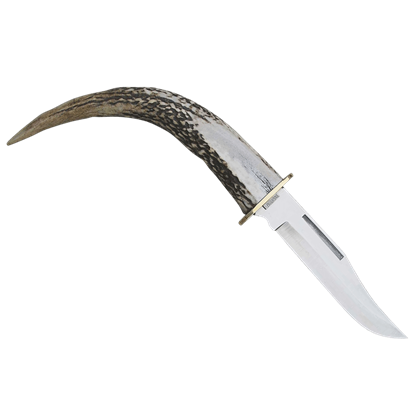 Nest this pointed stag handle in your palm of your hand and make gutting and skinning a breeze with an upswept point style blade with blood groove. The Bird and Trout is made out of AUS 6A stainless steel. 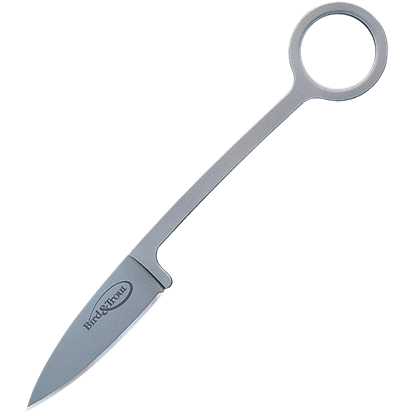 For safety and handiness, each knife comes with a light weight Concealex neck sheath and steel bead chain lanyard. The knife is a modern version of a 100 year old classic. The perfect companion for any outdoorsman, the Bird and Trout Knife is ideal for working in tight places or making precise cuts. 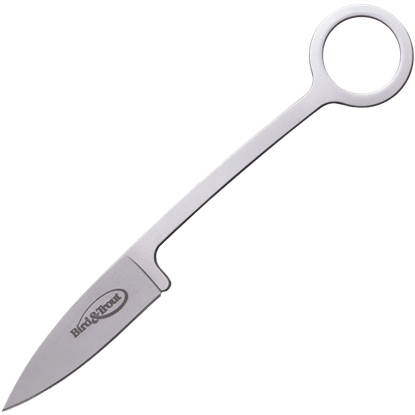 Made of AUS 8A stainless steel, the skeletonized handle offers great versatility and freedom of movement. Ultra-versatile and easy to carry, the Bird and Game Knife is the ultimate tool for any hunter or outdoorsman. 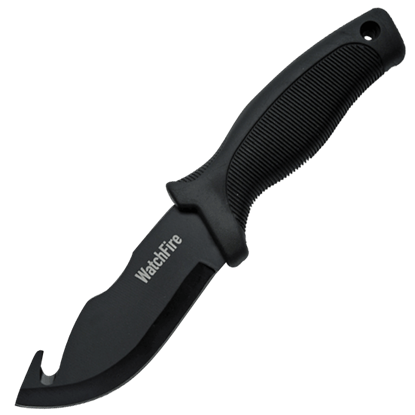 The grip of this functional survival blade is coated in textured polymer scales that extend to its multi-functional ring. 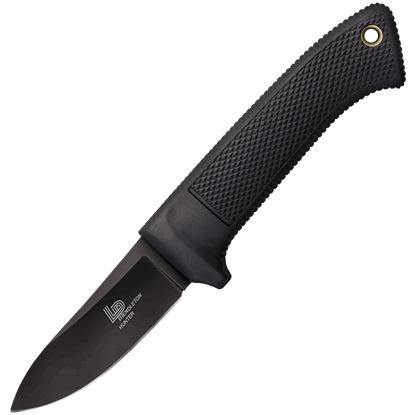 The Black Pakkawood Hunter features a drop point blade with a line cutter, making it an excellent choice for hunting and fishing trips. The handle of this hunting knife has contouring for a secure grip and a stylish black wood look.